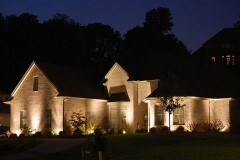 Electricians install and maintain electrical systems in homes, business, and factories. Electricians usually have a focus in construction or maintenance, but many do both. Those specializing in construction install wiring systems, and those specializing in maintenance fix and upgrade existing electrical systems and equipment. They must always perform work that is in accordance with the National Electric Code, as well as state and local building codes. Installation electricians read blueprints to determine the proper location for wiring and other components before installing and connecting wires to outlets, transformers, and circuit breakers. They use screwdrivers, knives, conduit benders, wire strippers, hacksaws, and drills to install the wiring, and test the connections with harmonic testers, ammeters, ohmmeters, and voltmeters. 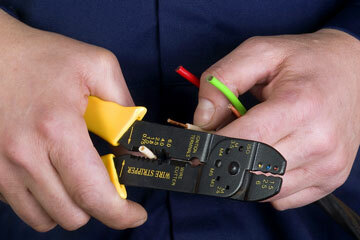 Maintenance electricians repair or replace circuit breakers, wiring, switches, fuses, and other electrical components. Maintenance electricians focusing on residential repairs are responsible for a wide variety of work, including home rewiring, circuit breaker replacement, and installation of new lighting. 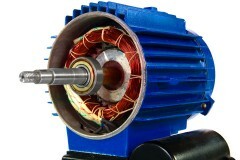 Those who focus on large factory maintenance repair motors, generators, transformers, and electric controllers; they may consult with engineers or industrial machinery mechanics. 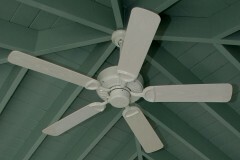 Electricians work at homes, businesses, factories, and construction sites both indoors and out. They do a lot of standing, stooping, bending, kneeling, and lifting, and must follow strict safety protocol to avoid injury. Most electricians work a standard 40 hour week, but many maintenance electricians are on-call and work nights and weekends. Electricians typically learn their trade through apprenticeship programs which combine classroom instruction with on the job training. Most apprenticeship programs require at least a high school diploma or G.E.D. They usually last four years, and include at least 144 hours of classroom instruction and 2,000 hours of on the job training per year. Classroom teaching includes electrical theory, blueprint reading, mathematics, electrical code requirements, and safety and first aid. There are a number of training academies and vocational-technical schools which also provide training, and graduates from these school are often hired at a more advanced level. Most states require electricians to be licensed, which includes passing a exam on electrical theory, the National Electric Code, and and local and state electric and building codes. Those who work with the public usually need a special license. In order to be licensed as a master electrician, many states require a bachelor's or master's degree in electrical engineering or at least 7 years of experience. Electricians should possess good manual dexterity, hand-eye coordination, physical fitness, balance, and color vision. With experience, electricians may advance to become supervisors, project managers, or construction superintendents. Some also start their own contracting businesses. Electrical contractors are expected to experience average job growth, but prospects should be best for for workers with the widest range of skills. Visit your state employment service office and the National Electric Contractors Association website to find out about apprenticeships and work opportunities for electricians.